Yes, after many months of delays, side-tracking and manufacturing issues*, our debut recording Soy Dios is finally released in both physical and virtual forms. The title track is accompanied by two equally epic remixes: the first drenched in dub-inspired echo and filtering, the second reduced to mesmeric drones and feedback. You can hear all three tracks in full and buy both CD and downloads by the magic of Bandcamp. The download is available in a variety of formats, all properly tagged with artwork and everything, while the CD comes in a smart but charmingly hand-made custom-designed sleeve (screen printed for us by Dave from Stray Light) and is a numbered, limited edition of 100. The price of the CD also includes an immediate download, so you can enjoy the music even before the actual disc pops through your letterbox. Once again, proceed directly to Bandcamp for all your Soy Dios requirements. *the moral of the story is: don’t get CDs duplicated in Eccles. Stuart Maconie has been kind enough to play one of our tracks on his Freakier Zone show on BBC 6 Music. The programme also includes Prof. Justin Spear’s roundup of 2010 and is well worth a listen, which you can do on the BBC iPlayer up until Friday. Firstly, thanks to everyone who came to hear us play with Damo Suzuki. It was quite special for us to be backing one of our musical heroes. Photos and audio will be posted soon. The last couple of Carefully Planneds at The Castle have been really well-attended and lots of fun. I expect this next one to be the same with added Christmassyness. Free mince pies once you pay your fiver in. Here’s the line up. I highly recommend checking out all the acts so as to get yourself excited as possible in the run up to the event. I would also appreciate any help you can give me spreading the word. Note, the lineup is subject to change – if you have a facebok login you can check the latest info here. 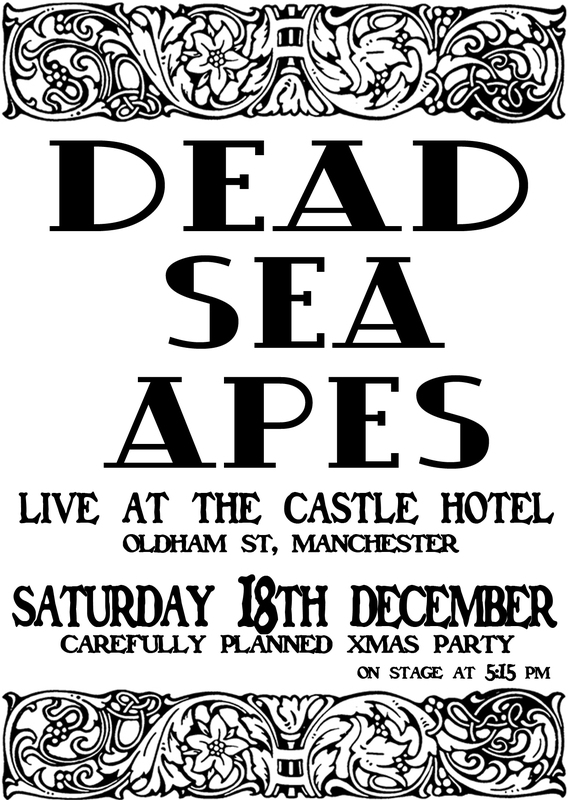 UPDATE 18th Dec: GIG IS CANCELLED. 12:30 Matthew’s just contacted us to say that the Carefully Planned event is cancelled: apparently the snow has prevented a lot of the other bands and equipment from getting there. Disappointment all round.